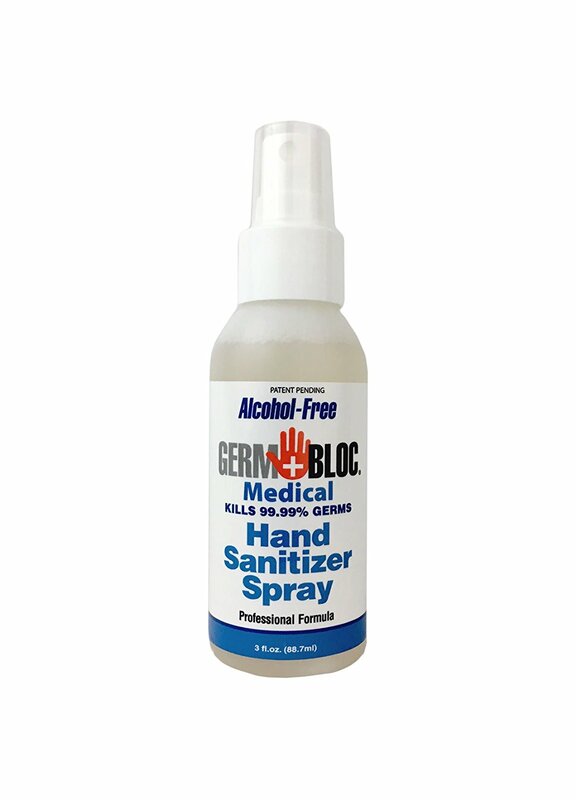 GermBloc Medical alcohol-free Hand Sanitizer Spray kills 99.9% of germs and will not crack or dry skin. Will not burn hands when using gloves like alcohol based cleaners. GermBloc allows for quick glove dry time for physicians and medical staff.